There is little doubt that the current economic environment demands a heightened measure of prudence when it comes to property purchasing. This is true for everybody, from the bottom to the top of the economic scale, because market uncertainties have forced us to be more judicious about our decisions. 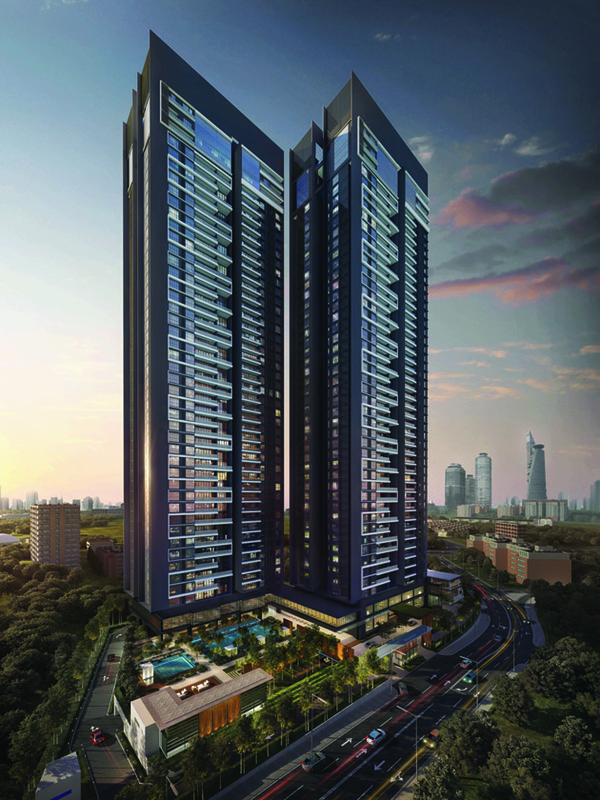 The Estate is a rare freehold opportunity in the popular Bangsar South vicinity. Ironically, in times of uncertainty, buyers seek certainty. In the property world, that kind of confidence can be found in the right property, at the right place, at the right time… and at the right price. While such opportunities are rare, they are not improbable, which is why astute buyers should take a closer look at an up-and-coming boutique luxury development called The Estate. Taking shape in the strategic and popular Bangsar South locale, this high-rise residential project not only benefits from a location that enjoys strong demand, it is also situated on one of the few remaining freehold parcels in the area that advantageously features the lush greenery of Bukit Gasing as its backdrop. However, this is not where the appeal ends. Amplifying an already desirable proposition, developer Bon Estates Sdn Bhd infuses more value to the offer by providing large unit sizes, eco-friendly features and plenty of eye-catching greenery to complement its existing verdant backdrop. The aim, says Bon Estates managing director Goh Soo Sing, is not just to create immediate appeal among home seekers, but also to generate long-term demand and sustained potential for value appreciation – thus making it a smart buy. “Bangsar has always had strong appeal as a residential address. It is an established area for upmarket properties and has consistently attracted an expatriate crowd. More recently, the extension into Bangsar South has boosted the overall commercial lure of the vicinity, which is why Bon Estates was keen to get involved in the area,” Goh explained. Incoming units in the area were sized below 2,000sq ft, which meant an opportunity to tap into the demand for larger units, says Goh. Goh said a study conducted by the company found that many of the incoming units in Bangsar South were sized below 2,000sq ft, which meant that this was an opportunity to tap into the demand for larger units. The supply of such units are limited, yet existing projects that offer them – such as The Park Residence – are experiencing high occupancies and among the highest rental yields of between 7 per cent and 9 per cent. “We found that expatriate families are still keen on Bangsar, and in Bangsar South there is the added convenience of being close to MSC-status offices. We chose to add more to this appeal by achieving GBI certification for our project, as we believe green buildings will hold more weight among discerning buyers in the future, which in turn, further enhances the value proposition,” said Goh. Here is the real reason why property seekers should be paying attention to The Estate: it isn’t just offering rarities such as larger units and sustainable features, it is doing it at a very competitive and appealing price. 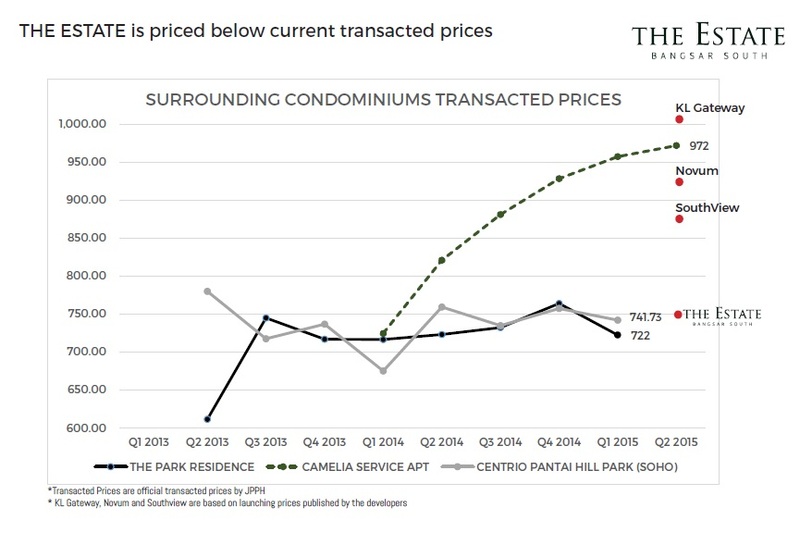 Prices of The Park Residence are being transacted from RM900psf to RM1,000psf, which means units at The Estate that are averagely priced at the RM800psf mark will leave plenty of room for capital appreciation. To be launched in the first quarter of next year, the project is taking shape on 3.68 acres of freehold land along Jalan 112/h, which is visible from the Federal Highway. Here, two towers of 46 storeys will host a total of 328 condominium units that come in built-up sizes that range between 2,346sq ft and 3,110sq ft. According to Goh, the project will boast a low density of just 89 units per acre (a benchmark for the Bangsar South area), with just four units per floor. “Each unit is a corner unit. North-facing units will have a view of University of Malaya and the KL city skyline beyond it, while south-facing units will overlook the Bukit Gasing forest,” said Goh. Standard units come in options of four-plus-one or five-plus-one bedrooms, while there are also a limited number of duplex units and penthouses up for grabs. About 40 per cent of the units will feature the dual-key concept as well, to appeal to a broader market of buyers. Inside, buyers can expect spacious open concept layouts, ceiling heights of 11ft, attached baths in every bedroom, and quality designer fittings and fine finishing. Residents will also enjoy private lift lobbies, generous allocation of four car-parking bays (situated side-by-side) and various energy-efficient utilities – including six charging stations located within the premise. Appealing to the heart as much as the head, Goh said the overall design language at The Estate will be modern, linear and evergreen in line with its aim to create timeless appeal. Importantly, the project aspires to pay equal importance to form, function and sustainability. Among the facilities made available to residents are a 2,000sq ft gym; a lap pool, family pool, children’s pool and a sky pool; cabanas with Jacuzzis; party rooms; a sky dining outlet; community café; sunken lawn; tea garden; and pavilion. Goh said the overall outlook was to create a “living, well-crafted” ambience, and in line with this, a large amount of the common space at The Estate will feature artistic landscaping which will be expertly handled by renowned landscape architect firm Seksan Design. 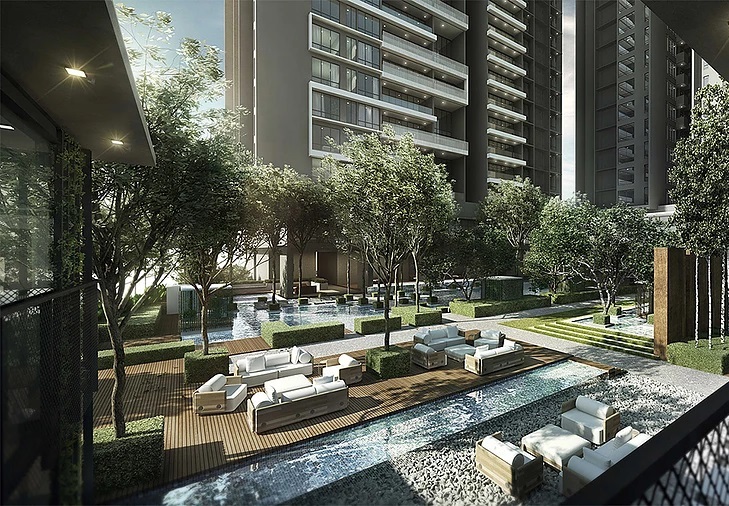 According to Goh, Bon Estates puts equal importance on nurturing both a sense of value and pride of place for its properties, as both ultimately serve to enhance the stature of an address. “We have an ethos, which is ‘building to empower the surrounding community’, which reflects on our strong belief that a quality development can do much to enhance the stature of its surrounding vicinity. We also believe that this is how The Estate will serve the Bangsar South community,” he said. The Estate is currently open for registration. The official launch is on March 17. Those interested to get a taste of the lifestyle on offer can visit the sales gallery at the corner of Jalan Maarof and Jalan Penaga in Bangsar.